A seventh woman has come forward with claims of sexual abuse by a former Catholic priest in Wallaceburg and Windsor, Ont. during the early 1980s. Rod Dale, a lawyer for the complainants, said that another Windsor woman had come forward on Tuesday, claiming that she was sexually abused by former priest Gabriele DelBianco. Until Tuesday, six people had come forward with allegations, said Dale, who has been talking with the women since last summer. "It takes a tremendous amount of courage for these women to come forward," said Dale. Dale said the women were all preadolescents at the time of the alleged abuse, and all were from Wallaceburg, with the exception of the newest complainant who is from Windsor. "When you listen to all the stories you have a feeling of deja vu," said Dale. The London, Ont., lawyer said the first complainant believed there were other girls involved with DelBianco, and after she reached out to them, some of the other women came forward. Dale claims many of the alleged assaults occurred through the church youth group DelBianco started. Dale said some of the girls tried to tell the church about DelBianco's actions in the 1980s but were either not believed, or were told it was their own fault. 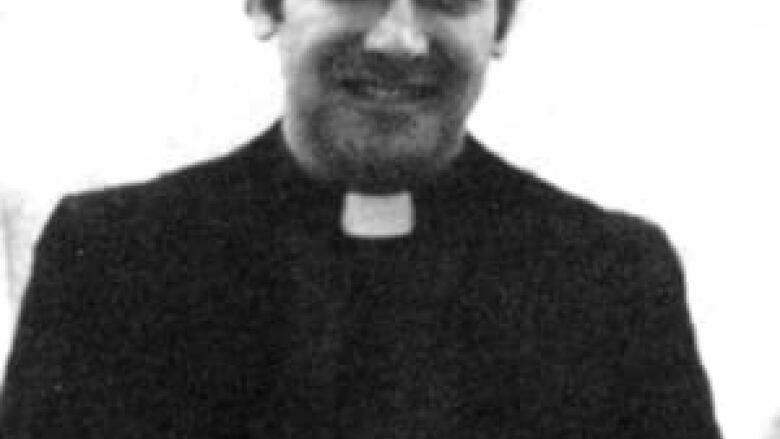 The Diocese of London said Gabriele DelBianco was ordained in 1982. He worked at churches in Wallaceburg, Windsor and Tecumseh, and served as a chaplain at high schools in Windsor and Tecumseh. According to a statement issued by the diocese, allegations against DelBianco came to light in 1994. At that time, he left active ministry, and quit the priesthood two years later. Officials with the diocese said they were aware of three sexual assault charges laid against DelBianco by Lambton County OPP for incidents that occurred between 1983 and 1986. Dale said on April 8, the church settled the first claim "for a substantial amount of money and a heartfelt apology." "The church now has a more enlightened attitude," Dale told CBC News. Dale said the church is looking to "work towards conciliation and resolution versus litigation" in dealing with the women's claims, and he said the church has hired a lawyer to represent DelBianco in the civil suits. Mark Adkinson, spokesperson for the Diocese of London, said DelBianco was provided a lawyer for the civil suits, but was advised to retain his own legal counsel for the criminal charges. When asked whether the church was acknowledging DelBianco's alleged actions, Adkinson said, "There is an acknowledgement that people got hurt, for sure." "We know that this is devastating news for people to hear," said Adkinson. "The people coming forward, what they're doing is the right thing. People shouldn't be afraid to come forward." A statement on the Diocese of London's website said it apologizes to the victims, and has offered to pay for counselling. "We are sorry for all of the hurt these and other victims have experienced. We are committed to living up to our responsibilities and obligations to victims of sexual misconduct in the search for justice and truth," read the website statement.